Based on the products shown in this post, you can see that the prices of some products from Zara Spain more than 100% cheaper than the same product in Zara Russia. 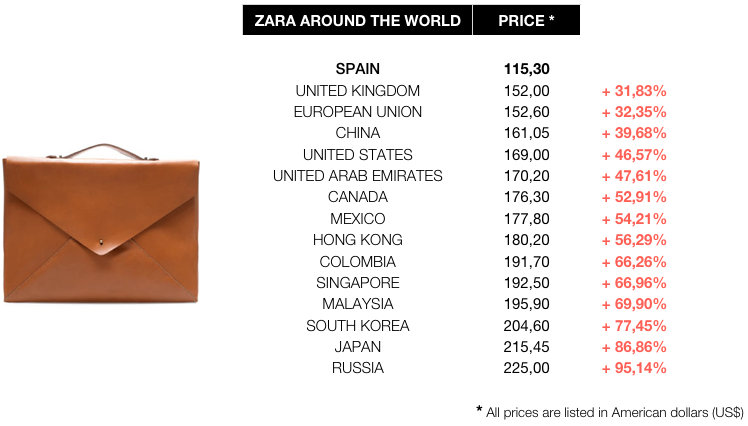 Check the full list below with the average percentage of the price comparison between products in Spain and worldwide. Mango, is happening exactly the same. 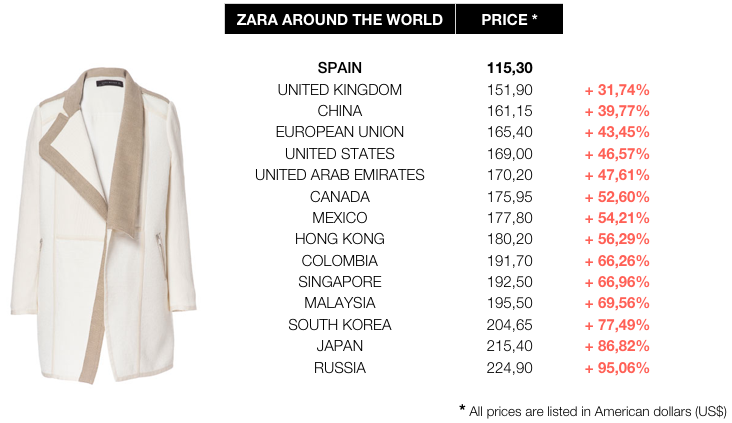 A cloth can be achieved in Spain and Portugal for 29.99 euros, cheaper than it costs 34.95 euros in France price, 34.99 pounds UK (43.7 euros), the 1999 rubles Russia (49.3 euros) or 369 yuan in China (45.5 euros). Within British borders , Zara is a symbol of elegance, refinement and taste. Amancio Ortega firm adheres to a concept of high-end fashion , best seen in the Spanish territory. 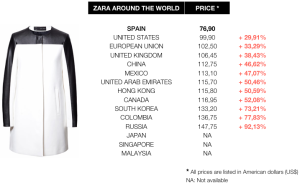 The prices are quite affordable living standards of English and related to the quality and design is presented as a very attractive offer , reports from London Ana Mellado . The needs of the British cosmopolitan woman fit perfectly in the department of Woman, the most admired and undoubtedly the most profitable in each of its establishments. 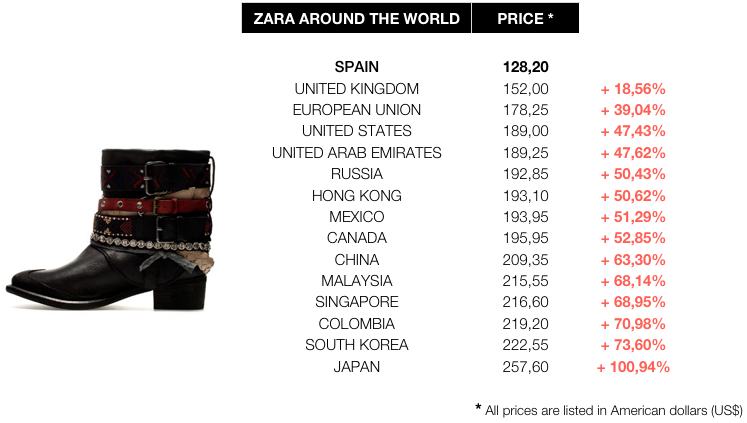 Zara and Mango : Why successful fast fashion ‘ low cost ‘ is cheaper in Spain? 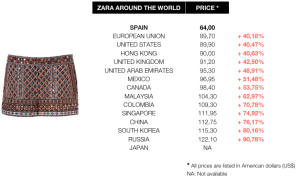 Test great acceptance , Zara has conquered one of the most exclusive areas of London , adjacent to the Golden Mile of Bond Street. 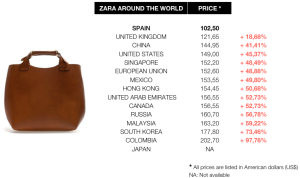 Last June, the chairman of Inditex , Pablo Isla , made ​​public the purchase of the building that houses the flagship Zara store in the British capital, on the corner of Oxford Street and New Bond , for 155 million pounds ( over 192 million) . 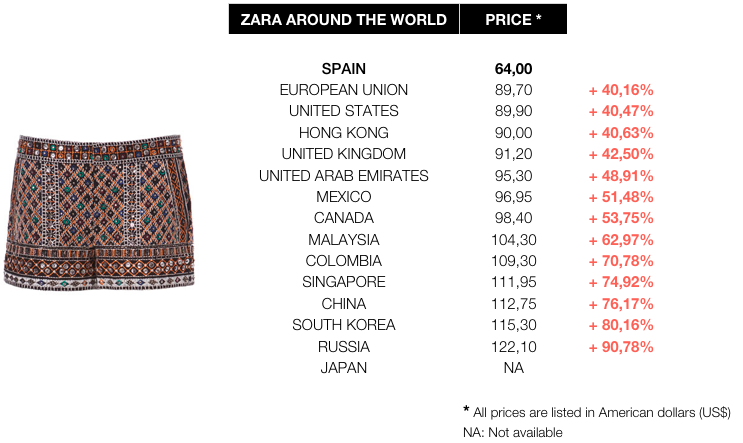 After the group Inditex , Mango is the second Spanish textile exporting chain in the UK. Since 1998, when it opened its first property , the Catalan chain has maintained a continuous process of growth in the country , with the opening of new stores (and reaches 70) and concessions in department store House of Fraser. Mango found on British models Kate Moss to his perfect muse to promote their collections , especially in Britain, where his image has taken a major boost to sales . Since Mango landed in Russia in 1999, expansion has not stopped for a moment. Currently in the Slavic country has over a hundred shops and aims to reach 200 in 2014. The Catalan company is present even in the remote Vladivostok , a port city located off the coast of Japan and walking Korea reports from Moscow Rafael M. Mañueco . Mango won in Russia last year a turnover of 64 million euros , making it the fourth largest market after Spain , France and Turkey. 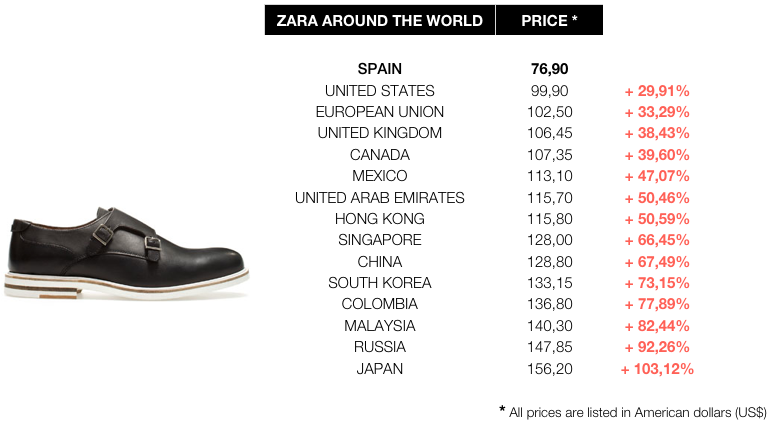 Moscow has held a higher segment achieved in Spain , which makes their prices are somewhat higher . 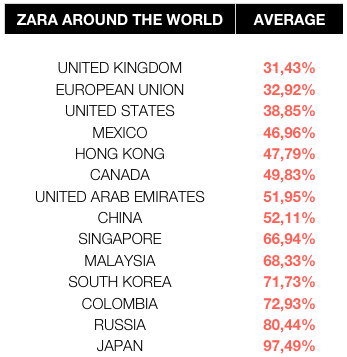 Zara came to Russia four years later , but it sells more. 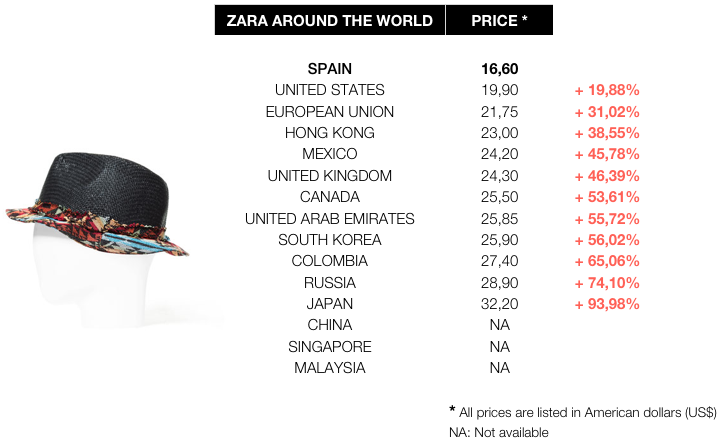 Their prices are also more expensive than in Spain . However, your product is perceived as cheap, but very present . Hence its huge acceptance among Russians and Russian in all formats . 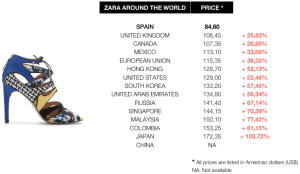 Fashion retailer Inditex has opened in Russia more than 100 stores and every time a new one appears in another city in the country succeeds immediately. 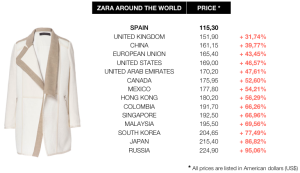 The royalty Zara and Mango in Russia is equivalent to other prestigious fashion brands such as Benetton, Mexx or Massimo Dutti . 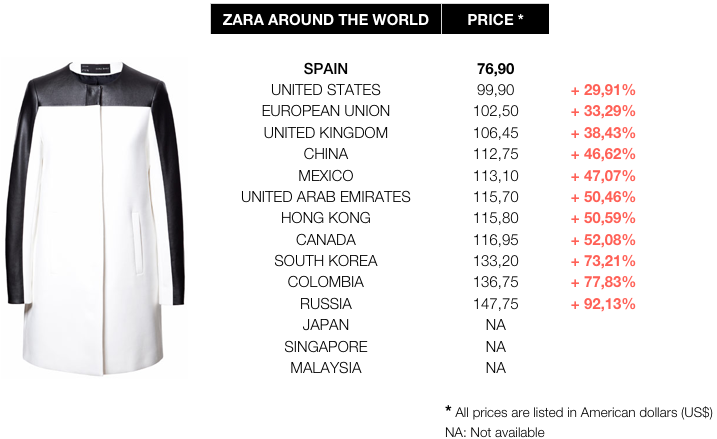 The two Spanish brands succeed primarily among young , very oriented towards fashion in Russia . Consider the quality price ratio is both the best . The recent opening of the “online” store Zara in China demonstrates the importance of this market , the most dynamic in the world, has for the Inditex Group . 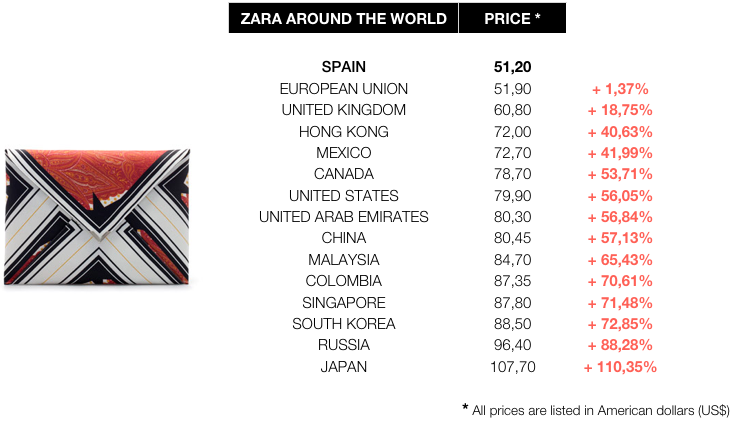 Zara and Mango : Why successful fast fashion ‘ low cost ‘ is cheaper in Spain ? 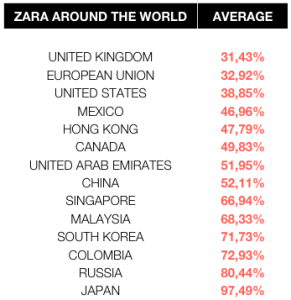 Since Zara opened its first store in Shanghai in 2006 , has expanded at breakneck speed across the country until an hundred establishments in 40 major cities including Beijing , Canton ( Guangzhou) , Tianjin , Shenzhen, Chengdu and Chongqing, all with more than ten million inhabitants. Telling other brands such as Massimo Dutti , Pull & Bear , Bershka , Stradivarius and Oysho , Inditex has about 300 stores spread across China . 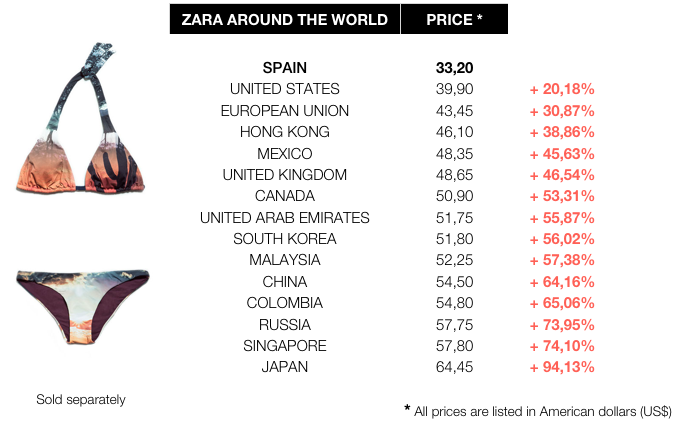 For the Chinese public, especially women , Zara offers high fashion design at reasonable prices, but the fact is that his clothes are sold in this country more expensive than in Spain to be at the same level as other top designers , reports Paul M. Díezdes from Beijing. Meanwhile , Mango is another of the most popular textile firms in Asia and in China , which last year accounted for 4 per cent of its turnover ( 1,408 million euros) thanks to its 187 stores. For the next five years , the goal of the Catalan brand is to reach the thousand establishments in the Eastern giant. 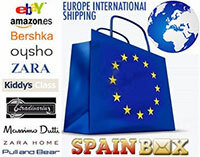 Along with these banners of the Spanish fashion, China also operate stores successfully Adolfo Dominguez and Balenciaga . 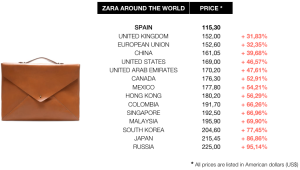 Zara and Mango have become two flagship companies , whose shops , boutiques and outlets in Paris, opened new markets , are at the forefront of creating and continue conquering new cosmopolitan public , beyond traditional markets French or Spanish . Zara and Mango : Why successful fast fashion ‘ low cost ‘ cheaper in Spain? The last parade of Mango held at the Centre Pompidou , the most visited museum in the world , ” admiral ship ” of the canonical contemporary creation. Through its twenty points Parisians sale , Mango continues to grow its international offering : the “mark Spain ‘ is associated with the figures of the international fashion, Kate Moss, Laura Ponte, plus many more. With two shops on the Champs Elysees and twenty in the rest of Paris , Zara and Inditex have become symbols of the textile and business creation without borders , specimens originally Galicians have terminated imposed on five continents, through several thousands of shops and outlets. 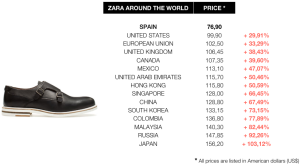 In this context, the Parisian clientele Zara noted for its ” multicultural ” character reports from Paris Juan Pedro Quiñonero . Some department stores group in Paris, have an essentially French clientele . Others, such as the Champs Elysees , or Saint- Germain -des- Pres, highlighted by the ‘ Galician ‘ win over the most cosmopolitan clientele. In historical , urban and cultural heart of Paris, these stores operate as triumphant ‘laboratories’ of taste and sensibility able to conquer new audiences and markets several continents and diverse cultural roots.